Ottomans has so many uses that most of us would like to have one in the house. We actually envy those who have lovely ottomans for aside from being useful, it can also add beauty to their homes. An ottoman has many functions because it can be used for additional seating, foot rest, corner table, coffee table and more. It can even have storage spaces inside it too. But would it be nice if you could just make your own ottoman? That would be awesome! 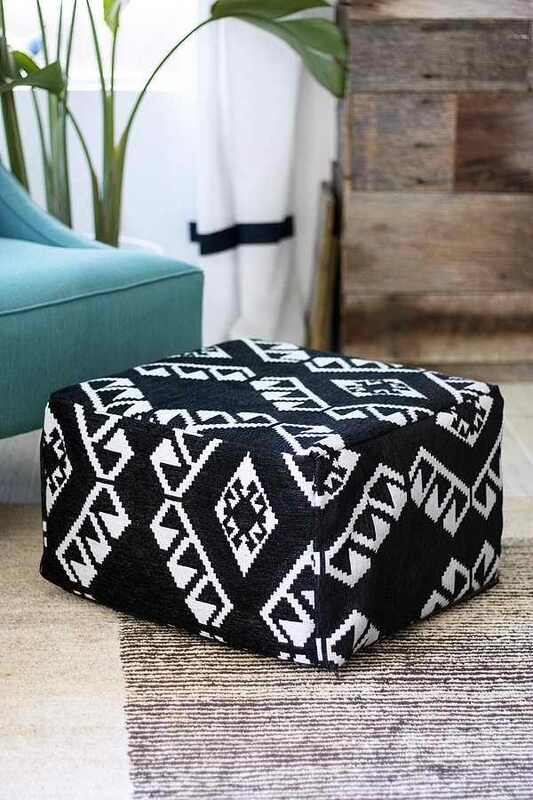 We know you are excited to make your own ottoman. 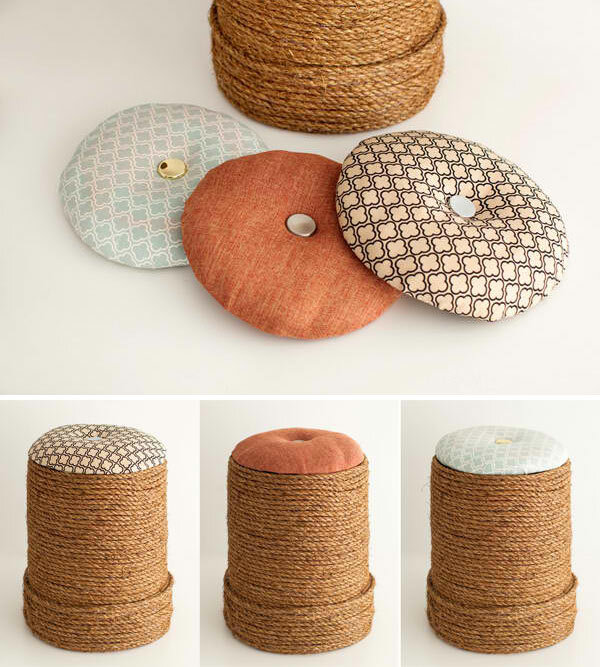 So, we gathered some DIY tutorials for making ottomans. There are different materials that you can use and you can also up do existing furniture and turn them into beautiful ottomans. We are sure that once you see what these creative people did to the ottomans, you will be extremely impressed and would also be motivated to make one! 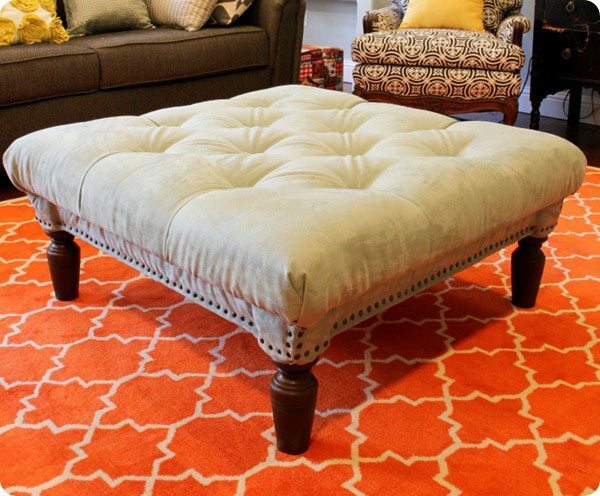 A gorgeous rug was used to update the look of an old ottoman. Its graphic design is just a head turner! If you think your buckets could only be used for storage, you are wrong. 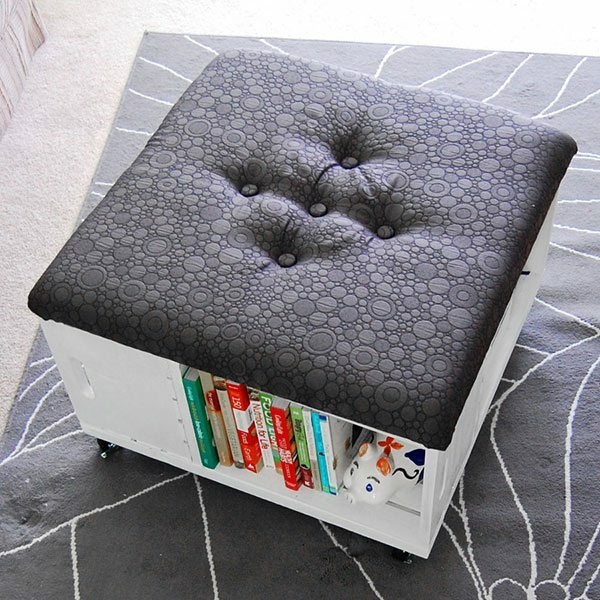 You can also turn it into an ottoman! Build great cubes like this for under $20 a piece. 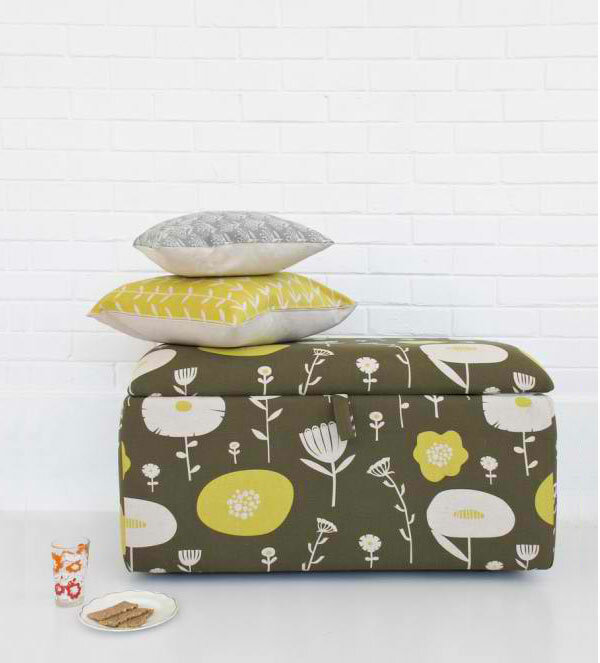 Pick a lovely fabric and your space will no doubt look fab. 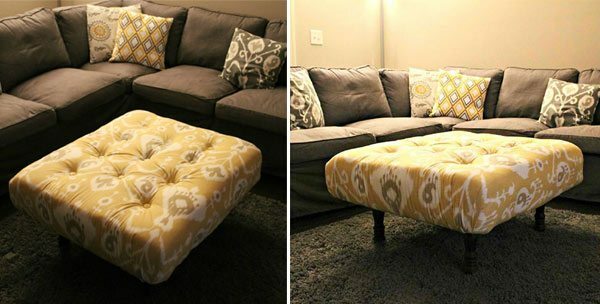 A square wooden coffee table found on Craiglist for $40 was transformed into this tufted ottoman. 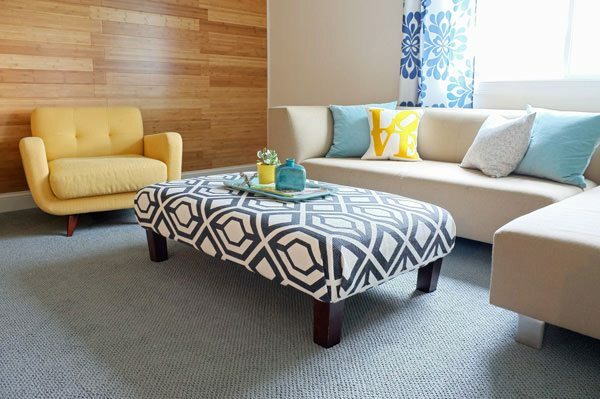 What can be more stylish than a flokati for an old coffee table? Have an old tire that is just left useless in the garage or storage room? 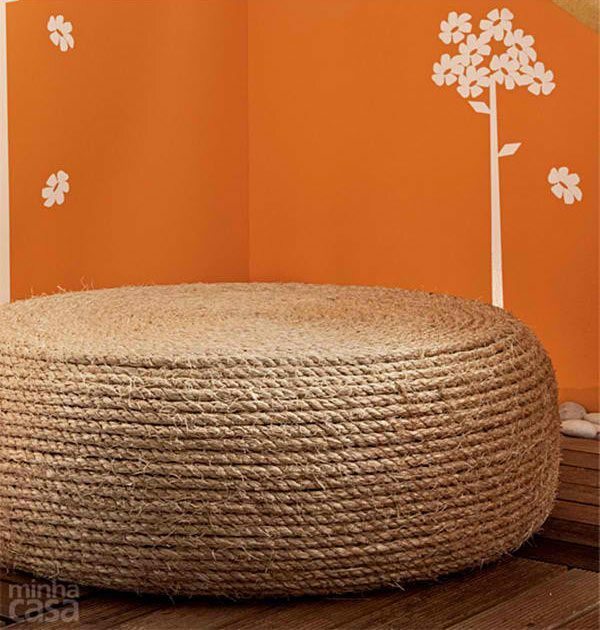 Why not make a rope ottoman and use it for additional seating in the house. 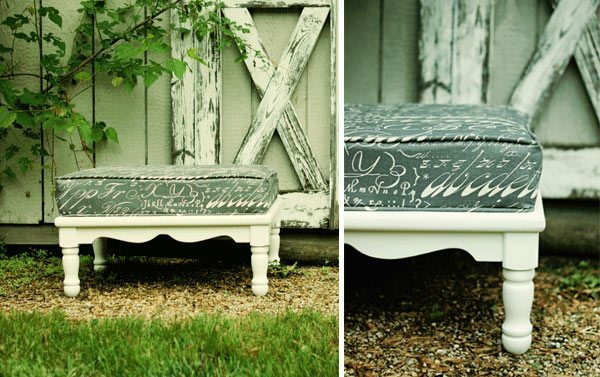 Up cycle an ottoman from a beautiful piece of furniture and create it into an even more beautiful piece. A sturdy ottoman which has storage spaces under it made from crates. It is also perfect as a foot rest. 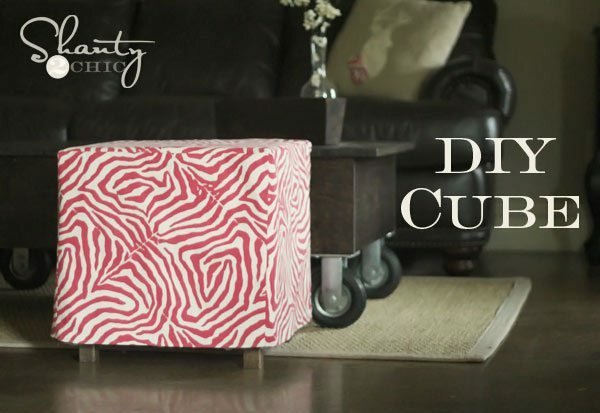 Once you see this tutorial you will realize that it is actually easy to create an ottoman of your own! 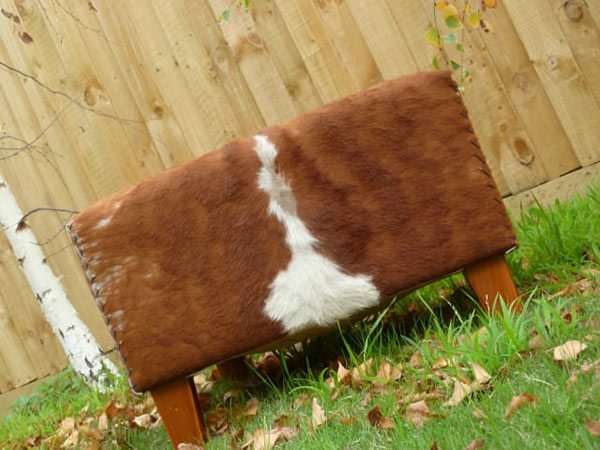 From a sheep skin area rug to a cowhide ottoman! Take a look at the simple steps and you’d be inspired to make one. This ottoman has a sentimental value since this was made in early 1890’s from planks and palettes. But it needed a new upholstery which turned out really lovely! 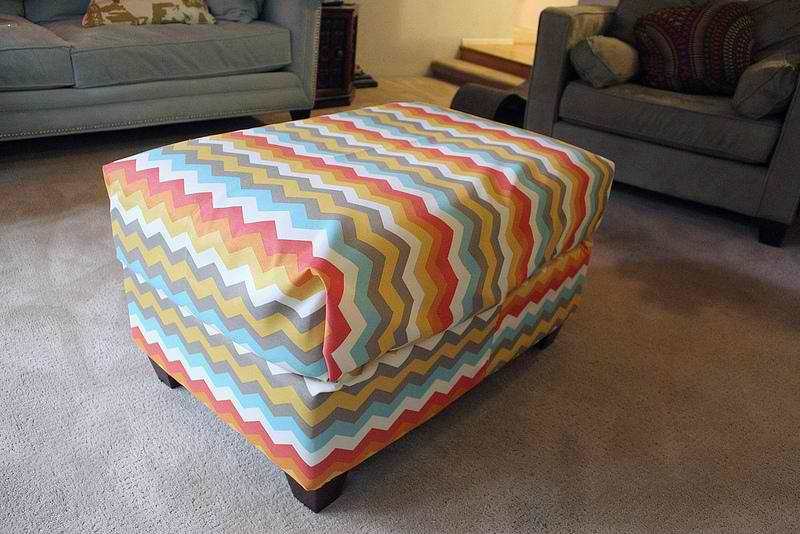 You can actually change the look of an ottoman by simply wrapping them and do a little sewing. See what Mary Ann did! 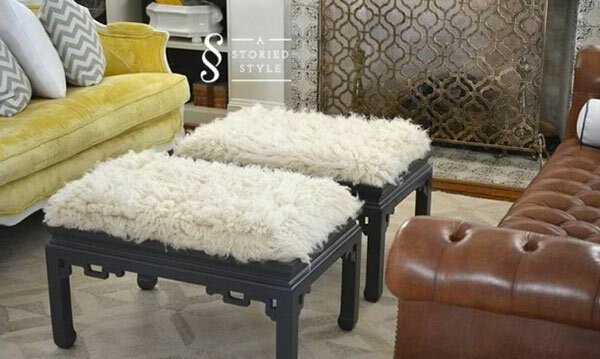 A pretty yellow ottoman became the center of attraction of this living room after its up do. Shelly Leer made this ottoman from shipping pallets, covered it with foam and wrapped it with fabric. Then, voila! 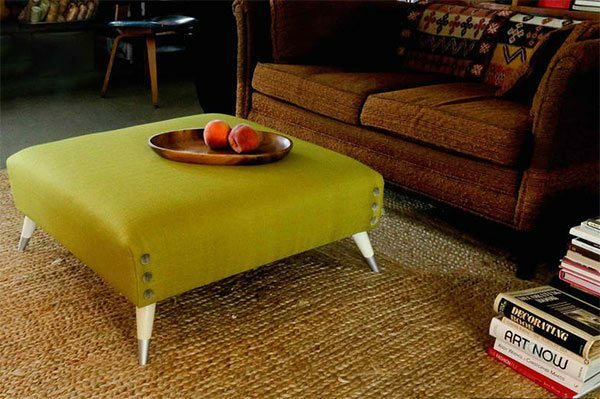 A stylish apple green ottoman was the result! If you are low in budget and you want to get an IKEA ottoman, why not make one similar to theirs? We know that after seeing the list above, you prefer to buy furniture from the thrift shop and up cycle it or you could even make from scratch. Well, with creativity, nothing is impossible! You don’t really have to copy everything they did above. You can also add a little twist to your own to give it more personality. 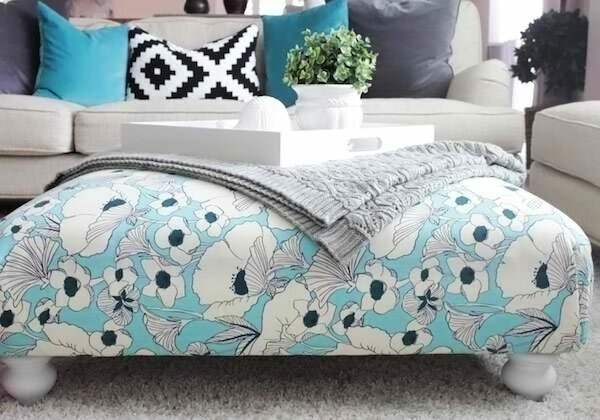 And if you are really going to make one, then take a look at some stylish ottoman designs which could give you ideas on what you can do with your ottoman.